Not a creature was stirring — ¡Caramba! ¿Que pasa? And who in the world do you think that it ¿era? "¡Ay Pancho! ¡Ay Pepe! ¡Ay Cuco! ¡Ay Berto! ¡Ay Chato! ¡Ay Chopo! ¡Macuco y Nieto!" Merry Christmas to all, and ¡Feliz Navidad! 'Twas the Noche Before Christmas riffs on Henry Livingston Jr.'s classic Christmas tale, A Visit from St. Nicholas. With a few choice lyrics in Spanish added by musician Eduardo "Lalo" Guerrero (1916-2005) in 1956, Pancho Claus was born. A native of Arizona, Guerrero had a string of hit parody songs in the 1950s beginning with Pancho López (The Ballad Of Davy Crockett), Tacos For Two (Cocktails For Two) and There's No Tortillas (O Sole Mio). Coincidentally, Eduardo Guerrero was born on Christmas Eve. Parody hits aside, Guerrero was an accomplished musician and his band Los Carlistas represented Arizona at the 1939 World's Fair in New York. Known as the "Father of the Chicano Music," Guerrero continued to perform and record throughout his long and illustrious career. He appeared as a guest performer on three cuts from Ry Cooder's classic 2005 disc Chavez Ravine. 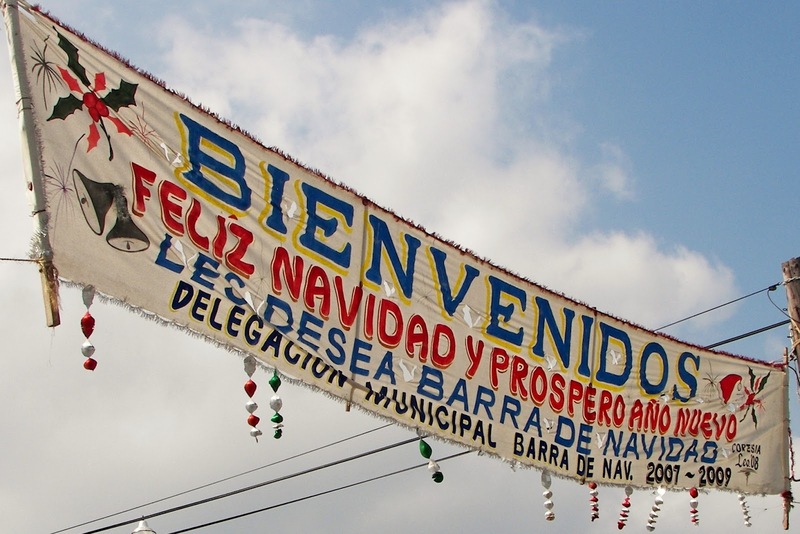 Teachers have since used 'Twas the Noche Before Christmas as a learning tool to help students learn Spanish vocabulary. Owing to years of email sharing, internet postings and, additions and deletions to text, 'Twas the Noche Before Christmas is almost unrecognizable from the Pancho Claus version recorded by Guerrero. We tip our fur-rimmed red cap to Guerrero as a reminder that Santa Claus is whatever color a child wants him to be.